Digital Arts looks at the latest VR painting and modelling tools on the market, including the latest update to Gravity Sketch. While interest in VR as a place for games and experiences has waned over the past year, there's still a lot of interest in it as a medium for creativity. Here we've brought together the best VR apps for artists – whether you want to paint and sculpt full artworks, or model 3D characters, vehicles and props for use in other applications. 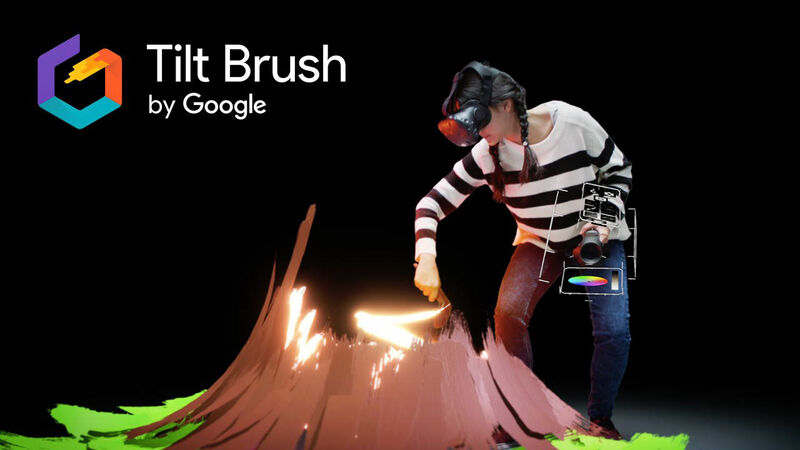 Google paved the way with the launch of its much-hyped Tilt Brush for the HTC Vive headset in 2015. But beyond the novelty of painting into thin air, Facebook's Quill was created to propel illustration filmmaking. Oculus has tapped into character art with its VR 3D modelling experience, Medium, and even Mozilla is jumping in by creating a basic web-based painting tool. And Gravity Sketch has taken tools designed for carmakers and made them accessible to 3D artists. We take a look at these VR painting and modelling tools a little further so you know exactly what’s on offer right now. Although the tools alone are not expensive to purchase, buying a headset and controllers will set you back quite a bit if you don’t already own them. As we're updating this feature throughout the year, please let us know of any VR painting tools that you are using. For more information on pricing and performance of the HTC Vive or Oculus Rift headsets, check out the reviews below by our sister site Tech Advisor. Recently refreshed with update 1.5, Gravity Sketch started out as a VR sculpting tool for car and shoe designers – but its just as usable for VR sketching and modelling as there’s a potential for grace and solidity to the models you create that’s lacking from Google and Oculus’ tools. You can draw freehand in 3D space using smooth curves, then extrude surfaces into 3D space – or extrude as you draw around a central access. You can grab and move points to adjust splines. And you can use both controllers together to create a surface like pulling a ribbon through the air. With Gravity Sketch 1.5, users can now make use of new features like taper mode, which allows you to draw any length of stroke and always have tapered ends. Other new tools to make use of include a group/ungroup option, depth of field + square snapshot, and an option to draw and edit with normals. 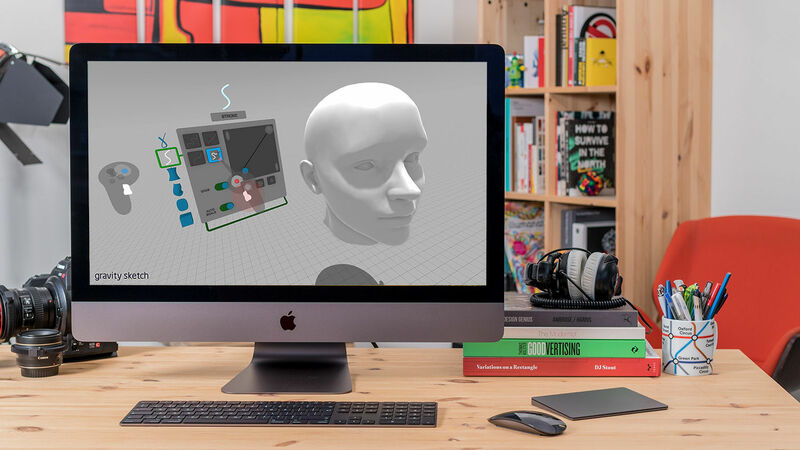 Gravity Sketch supports both Oculus Rift and HTC Vive headsets, and works on both Mac and PC. Learn more about Gravity Sketch including how ILM concept artist Jama Jurabaev is using it. There was a lot of hype around the release of Google’s Tilt Brush app for the HTC Vive in 2015 (through Valve’s Steam platform). Artists, painters, cartoonists, dancers and designers were commissioned by Google for their Artist in Residence program. It's worth checking out the impressive designs posted on their Virtual Arts Experiments blog. We ourselves asked illustrator Alex Moore to give it a go and see if it lived up to the hype. We also discovered how the Tilt Brush could be used for than just painting - but for designing sets like we saw at The National Theatre’s Immersive Storytelling Studio in London. Tilt Brush allows professional artists or amateurs to paint in 3D space inside a VR world, using a variety of brushes (such as ink, smoke, snow and fire) to create artwork that you can interact with, walk around in, and share as room-scale VR masterpieces or animated GIFs. The best part about Tilt Brush is that it works in both HTC Vive and Oculus Rift headsets. It costs £14.99 on both Steam and Oculus Experiences. Unbound Alpha is very new to the VR artistic playing field, only being released in January 2018 and still considered ‘early access software’, which basically means it’s in development. Using Unbound, artists can create 3D sculptures alongside other users – so you can create artwork collaboratively. Unbound also says you can export your creations to OBJ files and to 3D printers. Keep an eye on the app as it develops. See what you can create in the video below. Buy Unbound Alpha for £23.79. It’s primarily for HTC Vive but can be run on all systems that support SteamVR, so the Oculus Rift as well. You can even use Unbound without a headset. 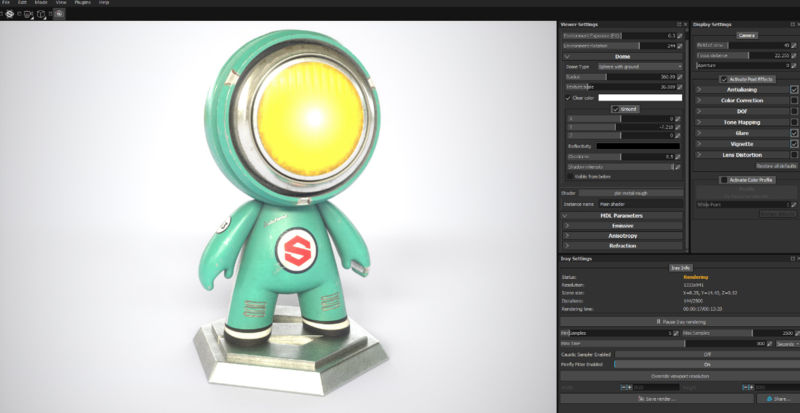 Most of you will already know Substance Painter, the reference texturing app for 3D animators and VFX studios. Now it can be used on the HTC Vive headset. It’s still treated as software however, not an app, so it will cost you £118.99 to buy from SteamVR, but it may be worth it for a entire studio or agency who create 3D modeling all the time. Facebook’s virtual reality illustration tool, Quill, now supports animation capabilities including traditional frame-by-frame and an animation brush. 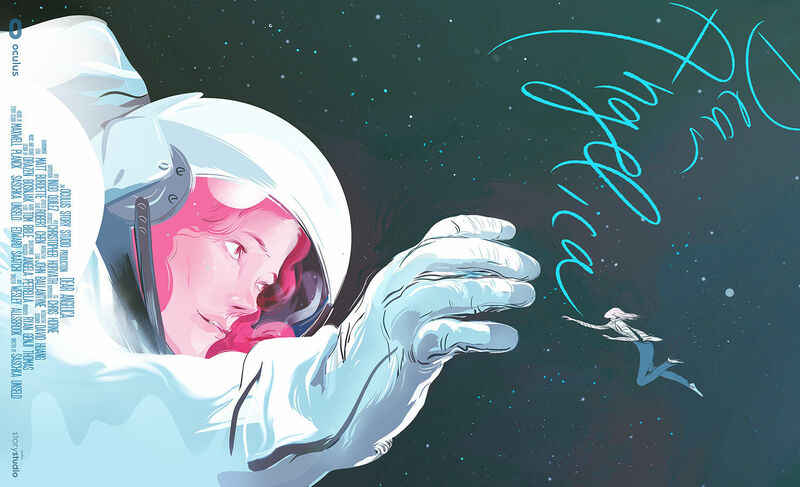 Quill was originally born out of Oculus Story Studio, created for the creative needs for writer and director Saschka Unseld and art director Wesley Allsbrook for their work on the illustration film, Dear Angelica. The film screen at the Sundance Film Festival as the first animated experience created entirely in VR. But after Facebook announced it was shutting down its Oculus VR unit – Story Studio – in May last year, its now upgraded the remaining Quill drawing tool for clear and faster animation than what was achieved with Dear Angelica. Quill is now a 3D animation tool, and is designed to support frame-by-frame redrawing, and support copy-and-re-pose animation, and an animation brush among other features. See what you can create with the new tools. Facebook’s resident Oculus artist Goro Fujita created a new animated film, Beyond the Fence, in an impressive three weeks with the new tools. As well as creating traditional frame-by-frame animation, users will be able to re-use and modify existing strokes as well as use the ‘Anim Brush’ which helps artists to create particle-effect like animation and sketched out animation rhythms. For example, fire and smoke can be animated in quite literally seconds. Quill is free with Oculus Touch Activation, otherwise it’ll cost you £22.99 from Oculus Experiences. Quill offers the ability to work in watercolour, pencil, oil painting and comic format among others. Artists can experiment with brush shapes and brush strokes which are sensitive to fine pressure from the Touch controllers. Flip through layers to tell a story, and manipulate reference images and sound files. To export work, users can choose from high-res screenshots, 360 photos and animated GIFs or videos with 360 video support. Quill is now offered as a Oculus Experience for £22.99. Oculus Medium may be more appealing to character artists or those aspiring to be one. The VR tool lets a single user sculpt, model, paint and create objects in a VR environment using the Oculus Touch controllers alongside the Oculus Rift. Users can choose from hundreds of prefabricated stamps to help build complex structures, or export high-res mashes for 3D modelling and printing. Prefabricated stamps include anatomy, letters, numbers, primitive shapes and a variety of widgets. Oculus also hosts a community site where artists can save and share sculptures and their work. 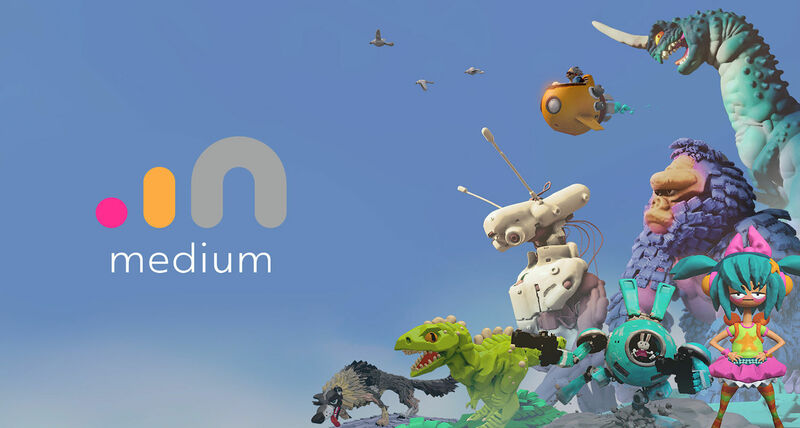 Although creating models may seem daunting to those who’ve never done it before, let alone grasping the idea inside a VR platform, Oculus encourages anyone to try Medium. There are guidelines and a help forum available, and an in-depth tutorial on offer when first using Medium. Its latest update from 2018, Medium 2.0, will appeal to the more experienced, though, offering as it does core sculpting features like increased layer limit, grid snapping and multiple lights. 2.0 also introduces a new file management system, scene graph, and a major UI facelift that allows for faster and more intuitive navigation of Medium’s tools, settings and options. What this essentially means is that artists can spend more time in creative flow, ideation, and production. The latest Medium iteration is available as an Oculus experience for £22.99. Potential users should note the new 2.0 update requires Windows 10 as part of the Rift’s newly updated recommended and minimum specs. A-Painter isn’t a VR app, but rather Mozilla’s web-based interpretation of Tilt Brush. 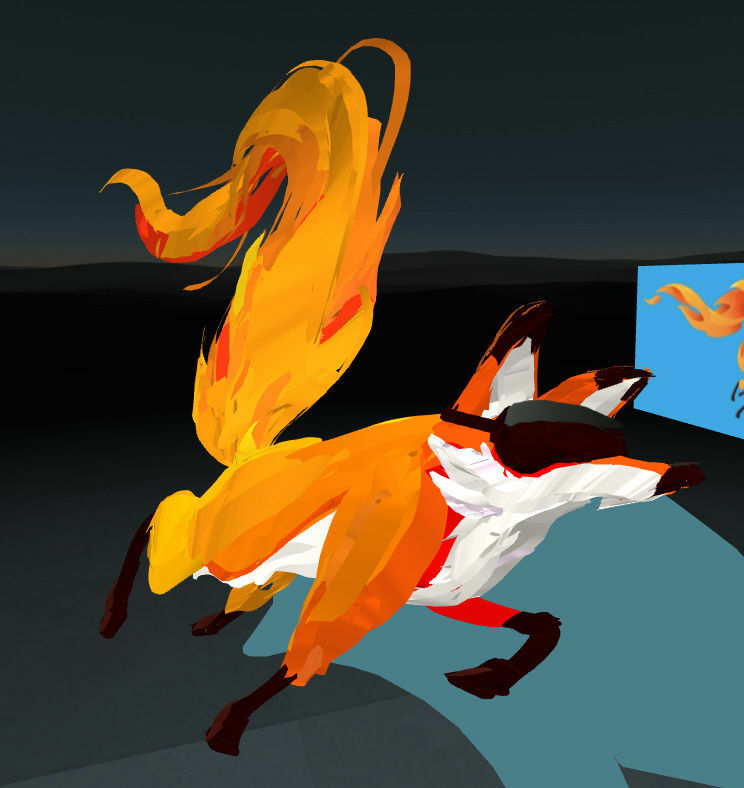 The Mozilla VR team (MozVR) explain on a blog post that A-Painter is an example of how artists can paint using VR online across platforms with no software installations. However, you will still need an HTC Vive headset and controllers, and a Windows operating system to use A-Painter to its full potential. To use A-Painter, make sure you have a WebVR-enabled browser (with Google Chrome Canary enabled in) before visiting the website. If you don’t have a HTC Vive headset, you can still view other artists’ creations using a mouse and keyboard, or even your mobile. Artists are limited to painting 3D illustrations with a choice of over 30 brushes. Paint on top of other people’s drawings, or import images and OBJ models from your desktop to the browser. Artists can save and load local binary files of their illustrations. The benefits of this web browser VR experience are the ability to create a custom brush (although this involves coding) and viewing 3D drawings without a headset. A-Painter is a little nerdy, and perhaps more for those who have a basic understanding of coding, or who wish to play around with a simple VR painting tool without having to purchase an app. It’s part of a range of web-based VR content by the Mozilla VR team available for the Oculus Rift and HTC Vive.